Picking a fresh lemon from your own lemon tree has to be one of the best experiences the home gardener can have. Gardeners living in tropical and subtropical climates are lucky enough to have the pleasure. Lemons are easy to grow if given proper cultural conditions. The key to lemon culture is good soil. Soil structure and nutrient content is important in providing lemon trees with appropriate amounts of water, soil aeration and nutrition. Good soil ensures trees can reach their fullest potential in growth, flowering and fruit production. Lemon trees require well-drained soil. Sand or sandy loam provides the perfect drainage they need. Some organic matter in the soil helps retain moisture and naturally provides nutrients. Soil pH should be between 5.0 and 6.5 to ensure optimum availability of nitrogen and micronutrients. Soils should be deep (up to 3 feet) so roots can grow deeply, providing water during dry spells and rigidity during high winds. Amend sandy soil with compost or finely shredded bark to improve drainage and nourish roots. If soil pH is below 5.0, use limestone or dolomite to moderate. If pH is above 7.5, amend with aluminum sulphate. Mulch lightly for water retention. 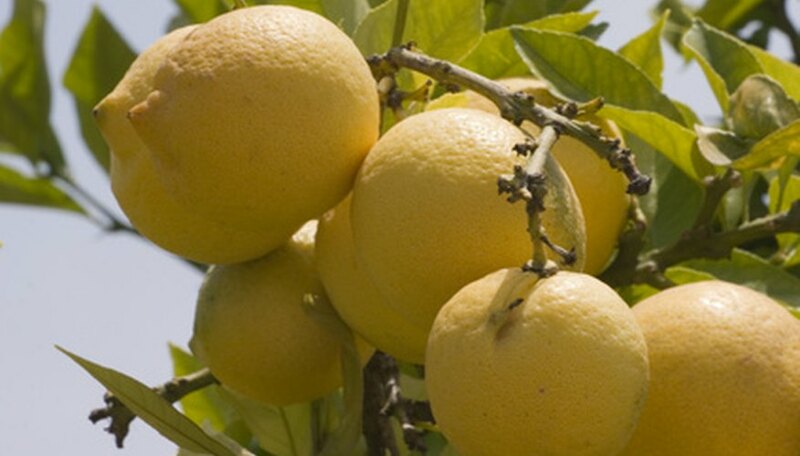 Soil for lemon trees should be fortified with a balanced fertilizer (8-8-8 or so) containing micronutrients. Scratch granules in the soil beneath the drip line of the tree when the buds begin to swell. Replenishing mulch annually will add organic matter to soil over time as the mulch decomposes. Rake fallen leaves regularly to discourage soil mildew during the rainy season. Gardeners who don't live in areas warm enough to grow lemons can grow them in containers. Containers should be large enough to provide sufficient root growth. Soil should be well-drained but contain larger amounts of organic matter to retain moisture. Soil will have to be fertilized more often as irrigation washes nutrients out of the soil.